The inspector general for the agency reported more retirement and disability payments could be made to deceased individuals if action is not taken to correct the government's death record system. Payments to roughly 750 dead people resulted in millions of taxpayer dollars wasted, including one instance where an individual continued to receive benefits 26 years after his death. "SSA issued payments to 3,925 beneficiaries who had dates of death in VA's records," the inspector general said. "Our audit results indicated that at least 11 percent of these beneficiaries were alive, and death information in VA's records was erroneous. However, our audit results also indicated that at least 19 percent of these beneficiaries were deceased, and death information in VA's records was accurate." The inspector general found that, in most instances, the Department of Veterans Affairs failed to disclose death information to the SSA. "Based on our sample results, we estimate SSA issued about $37.7 million to 746 individuals after they died and will issue approximately $7.3 million more over the next 12 months if these discrepancies are not corrected," the inspector general said. More deceased veterans could be receiving payments, since the inspector general could not determine the status of 70 out of the 100 beneficiaries in their sample, and identified hundreds more individuals who may have died. "In these instances, information available in public records or other available documentation did not sufficiently indicate whether the individuals were alive or deceased," the inspector general said. "In addition to the 100 randomly selected beneficiaries, we referred information on 281 potentially deceased beneficiaries to our Office of Investigations," the inspector general said. The most extreme case the inspector general identified was an Army veteran who died in Texas in 1980. 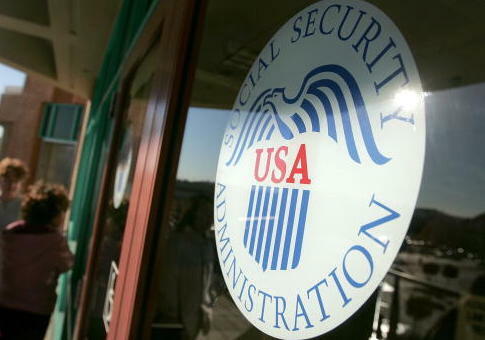 "SSA's records indicated that someone used the veteran's SSN to work from 1978 through 1991," the inspector general said. "In 1991, the suspected identity thief filed for, and began receiving, retirement benefits. SSA issued the suspected identity thief approximately $200,000 in retirement benefits before suspending the payments in May 2017." The identity of a Marine Corps veteran who died in 1998 was also stolen, and was used to collect $16,000 in disability payments over two years. A North Dakota Army veteran continued to receive disability benefits for six years after his death in 2011, totaling $155,000 before they were discontinued in April. One Army veteran who died in 2005 continued to receive disability payments for 12 years, totaling $102,000. In another case, a veteran who died in Thailand in 2008 received benefit payments for nine more years, totaling $160,000. "As good stewards of taxpayer funds, and to preserve the public's trust in our programs, we remain focused on paying the right benefit, to the right person, at the right time," the agency said in response to the audit. "Over the years we have made, and will continue to make, enhancements to ensure our death data is complete and accurate." This entry was posted in Issues and tagged Social Security, Veterans. Bookmark the permalink.